All transactions are safe and secure with a reliable history in online purchasing behind each of our associates. 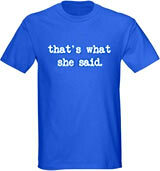 Find The Office t-shirts below including the That's What She Said tee and Dunder Mifflin t-shirt. Get hats. 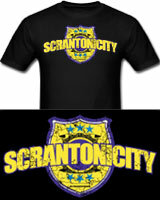 Based on the Golden Globe winning British The Office TV show, the American version of The Office TV series stars comedian Steve Carell as Michael Scott, the regional manager of the Dunder Mifflin Paper Company's Scranton, Pa branch. 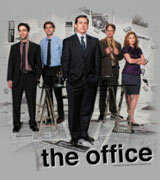 Despite the first season of the TV show being comprised of only six episodes, fans became instantly hooked on the show's addictive humor and documentary style, with the actors often acknowledging the camera. 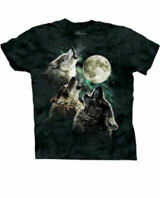 Below, you will find the best The Office t-shirts handpicked from a variety of sellers. 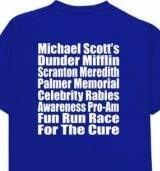 Design choices include the Gun Show Dwight Schrute t-shirt, the popular That's What She Said tee and the bestselling Dunder Mifflin t-shirt. 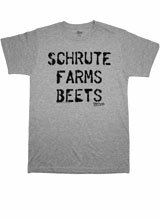 Check out the other funny Office TV show quote tees. 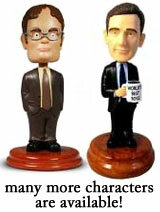 Pair them with cool Dunder Mifflin hats and bobbleheads. Do You Have Your Tickets to the Gun Show? 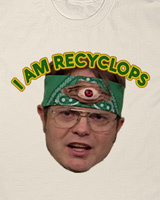 In "The Alliance" episode of The Office TV series, Dwight Schrute delivers one of the best lines in TV history. 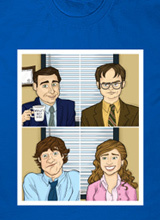 Dwight Schrute says to Jim Halpert, "Did you get your tickets?" 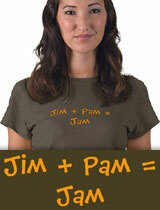 Jim Halpert responds, "To what?" 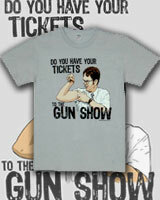 Dwight Schrute replies, "The gun show." 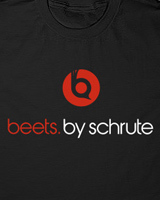 Dwight then lifts up his sleeve and kisses his arm. 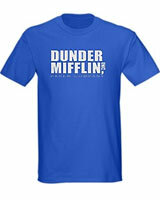 This Dunder Mifflin t-shirt depicts that scene. 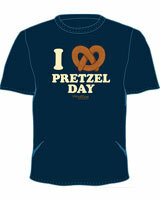 The front of this officially licensed tee reads, "Do you have your tickets to the gun show?" Link to: Do You Have Your Tickets to the Gun Show?